Earlier this week, VivaLNK formally announced partnership with Reckitt Benckiser (RB) to distribute a wearable continuous temperature monitor worldwide. The products, Enfasmart FeverSense and Nurofen FeverSmart are both aimed at parents who wish to automatically track temperature changes in their child in order to take immediate action following detection of a fever. These FDA cleared and CE certified products are electronic skin patches that continuously monitor changes in body temperature over several days as required. IDTechEx already reported on the partnership between VivaLNK and RB . Under Nurofen, the FeverSmart product had already been launched as a trial in Australia in 2017. Under Enfasmart (owned by RB following the acqusition of Mead Johnson Nutrition in 2017), the product is known as FeverSense. They initially applied for this trademark in November 2017, and it sits alongside their existing brand Emfamil, a milk powder brand aimed at nutrition during child development. More details about the progress of VivaLNK and 12 other players developing electronic skin patches based around temperature sensors can be found in IDTechEx's report: Electronic Skin Patches 2018-2028. This report is the most comprehensive assessment on the commercialization of flexible, wearable, smart skin patches, and includes examples of over 95 different skin patch products from 80 different companies. Temperature sensing skin patches popularly fall into one of two main categories: fever monitoring or fertility monitoring. Wearable temperature sensors tend to be dedicated devices with functionality related to a temperature metric only. Whilst other devices (e.g. those for general monitoring of healthcare or wellness metrics, or other options such as cardiac skin patches) can sometimes contain temperature sensors, they are unable to give a meaningful estimate of core body temperature unless they are positioned specifically for this purpose (i.e. for skin patches, axially (under the armpit)). Whilst this remains a sector in relative infancy compared to markets such as diabetes management and cardiovascular monitoring, both of which are generating more than a billion dollars a year in revenue, this progress from VivaLNK and RB shows that there are many exciting opportunities around electronic skin patches that continue to emerge. VivaLNK's success in partnering with a prominent brand to distribute their technology world wide is an excellent case study for wearable technology, electronic skin patches and flexible electronics. 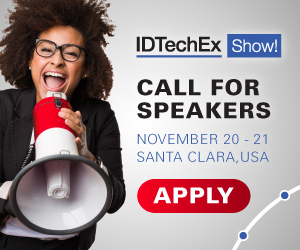 VivaLNK CEO, Jiang Li, is an invited speaker at Wearable USA 2018, part of the IDTechEx Show at the Santa Clara Convention Center on November 15, 2018. His talk will cover "Improving Healthcare Through Medical Wearables". Along with their successful temperature sensor product, they have also launched other products around the electronic skin patch platform. In 2014, the company introduced eSkin™, which represented the first-of-its-kind breathable thin film substrate with integrated circuits and sensors designed for long term wearable use. Initially launched in collaboration with Google ATP as the Digital Tattoo by Moto X, the technology is now at the core of VivaLNK's family of products. IDTechEx are the market leading experts on the markets and technology behind wearable and flexible electronics, including electronic skin patches. This includes syndicated market and technology research reports such as titles on electronic skin patches, stretchable electronics, flexible and printed electronics and wearables, forming just a few as part of nearly 100 titles. IDTechEx also organize the largest global industry events on this topic. More information about VivaLNK, as well as technology, markets and players in electronic skin patches and the broader wearable and flexible electronics spaces, please do get in touch or visit the IDTechEx website.